Modern materials design requires reliable and consistent structure–property relationships. The paper addresses the need through transfer learning of deep material network (DMN). In the proposed learning strategy, we store the knowledge of a pre-trained network and reuse it to generate the initial structure for a new material via a naive approach. Significant improvements in the training accuracy and learning convergence are attained. Since all the databases share the same base network structure, their fitting parameters can be interpolated to seamlessly create intermediate databases. 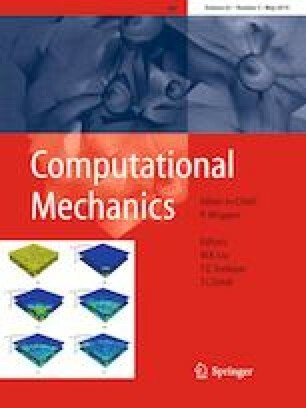 The new transferred models are shown to outperform the analytical micromechanics methods in predicting the volume fraction effects. We then apply the unified DMN databases to the design of failure properties, where the failure criteria are defined upon the distribution of microscale plastic strains. The Pareto frontier of toughness and ultimate tensile strength is extracted from a large-scale design space enabled by the efficiency of DMN extrapolation. The authors give warmly thanks to Dr. John O. Hallquist of LSTC for his support to this research. The support from the Yokohama Rubber Co., LTD under the Yosemite project is also gratefully acknowledged. In the global network structure, it will become the input of another building block in the upper level. Design of experiments are performed based on the Monte Carlo sampling.